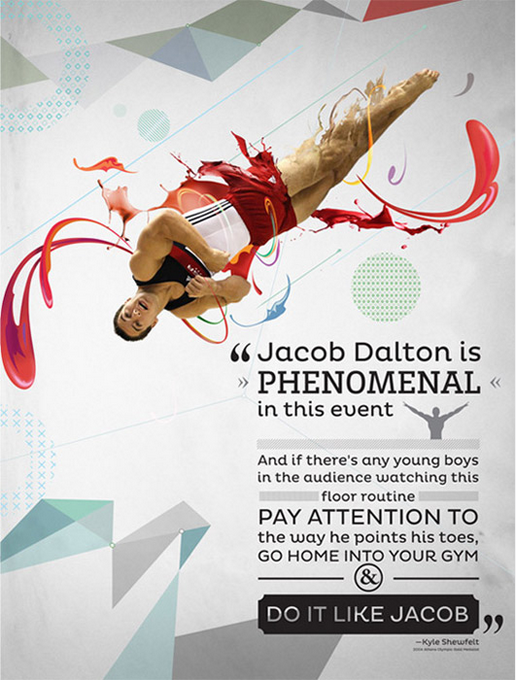 On the podcast, Jake Dalton is known as “Mr. Toe Point”–and for good reason. (Have you looked at his toes while he’s competing?) His impeccable feet and consistency have helped him earn a reputation as one of the top male gymnasts in the world. To toot Jake’s horn a bit: In 2011, Jake was a member of the U.S. team that took home bronze at the Tokyo World Championships. At the 2012 Olympics, he finished fifth on floor. And in 2013, he was crowned the American Cup champion, and he took home a silver medal on floor at the World Championships. Uncle Tim: Let’s start by talking about your hand. How’s your hand doing? UT: I’m just curious. Why did you choose to do rings at Winter Cup? It’s a hand event, after all. UT: What vault are you working on? UT: Are you still working on the double front half? UT: How are the other events coming along? UT: What are your goals for 2014? UT: Would you prefer to compete in the individual event World Cups or in the all-around World Cups? UT: Last time we spoke at the Winter Cup, I asked you about your girlfriend Kayla Nowak’s injury. Can you give me another update? UT: The Winter Cup is a fun event. The little guys are running around and competing at the same time that you’re training. If you could give any advice to the next generation of male gymnasts, what would it be? UT, laughing: Pardon, but did you say throw up? 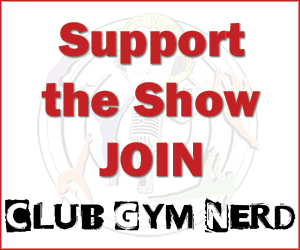 Hi Uncle Tim and Gymcastic – thanks for the interview. I used to throw up before meets too so in a weird way I am glad an Olympic athlete used to have the same problems. Pommel Horse was a complete disaster in the first two sessions of the winter cup which makes me nervous for team USA. Below I outlined the ranks and scores of notable gymnasts and the notes I took, but I’d like to hear your opinion on who you think has the best chance to clean up and perhaps even make a traveling team this year for pommels work (or, do you think they will be eclipsed by absent all-around gymnasts). Similarly, I was wondering what your thoughts are on how these might be judged internationally. 1 – Hernandez – 6.3 – 7.95 – 14.25 – stalled on handstand travel, covered by going into scissors? 3 – Bower – 5.5 – 8.55 – 14.05 – bent knees on scissors!?!?! 5 – McCabe – 4.9 – 8.8 – 13.7 – clean run, junior gymnast – please stay clean! 10 – Modi – 5.9 – 7.45 – 13.35 – great speed in circling! stalled handstand dismount, jumped off without reaching handstand, allowed to attempt second dismount? ?